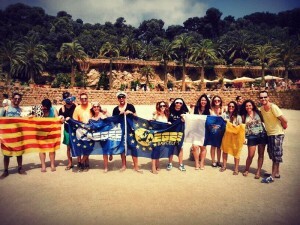 Local of the Month: AEGEE-Las Palmas. Future organisers of Agora or EBM? Will there ever be a statutory event in Las Palmas? That question was asked to the President of the antenna, Carmen Martín, when giving her the great news that the YVote 2014 event-organizing antenna has been chosen as Local of the Month of November. The AEGEEan interviewed Carmen to get a deeper inside into the antenna and also talked a bit with the current President of AEGEE-Europe, Luis Alvarado Martínez, as well as the former President of the Audit Commission, Esperanza Rodríguez, about the antenna. 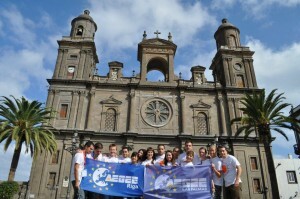 What is the history behind AEGEE-Las Palmas? 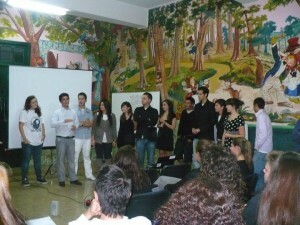 Carmen: AEGEE-Las Palmas was re-founded in 2008 by Hektor Oliva and Rocío Gragera. It existed in the 90’s, but disappeared because of lack of motivated members. At the moment we have 30 members of which 10 of them are active. The experienced members are planning to implement a hopefully effective HR strategy to recruit new members and motivate them, to assure the future of our beloved antenna. 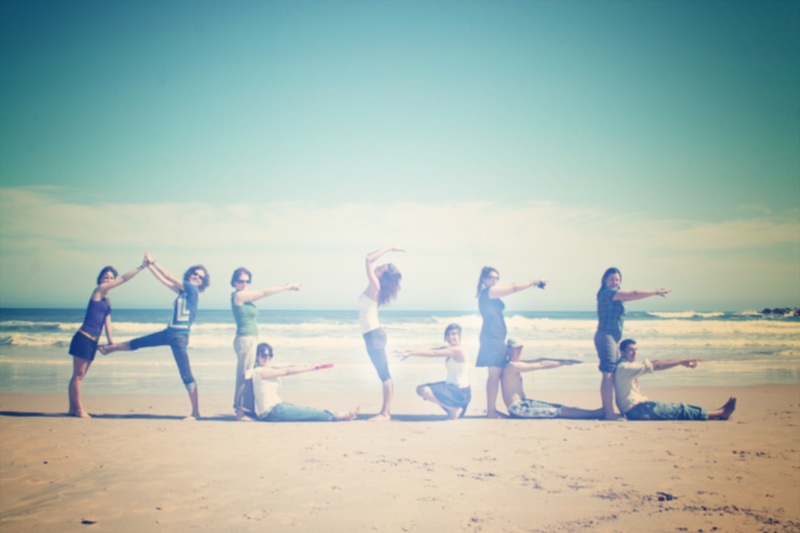 What is special about AEGEE-Las Palmas? Carmen: I think that the most important thing is that so far, we’ve always been friends in the teams and usually most of our participants say that it’s noticeable we really love each other. I remember that in the European School 1, that we organised in 2010, they usually asked us ‘How can you be so charming?’ which surprised us and made us happy. Esperanza: Las Palmas is really far away. There are a lot of people there that don’t feel connected with Europe or even with Spain. Canarians are quite open-minded, since we are used to having tourists and foreigners, and also we have been emigrants at different points in time. But the distance can also create the feeling of isolation or make it hard for us to travel. And yet, there you can see a motivated group of European citizens, willing not only to experience what being European means, but also trying to show the world out there to others. 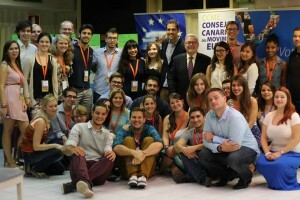 And I can tell you, AEGEE-Las Palmas members are truly citizens of Europe and of the world. We have had (and keep having) members playing important roles in AEGEE, and we also have many other members spreading the AEGEE spirit everywhere! Even when I’m away (even as far as Miami)! What does it mean to your antenna that you are located quite far away from cities across the Network? It’s not that bad, we always complain about being far away and not being able to be in other cities by bus or train, but if we really want to go to events, in the end we manage. To travel to other cities in Spain, we always have a discount (50% of the flight tickets for being residents of Canary Islands), and on the bright side this also is something good. Everyone is always willing to come to this exotic place, even if the tickets are not that cheap. Do you have any special collaboration between the antennae in the Canary Islands? Carmen: Unfortunately the only one we have now is AEGEE-Tenerife (since AEGEE-Lanzarote was downgraded in Agora Zaragoza). 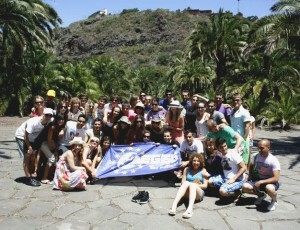 Our relationship with AEGEE-Tenerife is very good. Every time we organise a Local Training Course (LTC) we invite them to come. Their first European event was a Travel Summer University (TSU) with us in 2011 and it was great to organise a TSU with our neighbours and try to teach them as much as we knew. Personally, every time I meet them in other events, like Agorae or Network Meetings (NWMs) and they tell me how they’re doing, I feel really proud, since I saw their ‘birth’ and I’m really happy to see how they’re growing and doing a lot of things. People like the President of AEGEE-Europe, Luis Alvarado, and the former President of the Audit Commission, Esperanza Rodríguez, are from Las Palmas. How do you promote the European Level of AEGEE to your members? Carmen: I think that their motivation is more internal than external, but of course we always promote the European Level of AEGEE in our antenna. We always let our members know that they can do whatever they like and that also counts for the European Level because of all the Working Groups (WGs), projects, Committees, etc. that we have in our association! After being twins with AEGEE-Riga would you consider taking part of the twin antenna project again, or maybe become mentor of any other antenna in part of the mentorship program? Carmen: Sure! It was a really good experience for all of us and we want to repeat it for sure. Some of our members are very interested in the Eastern Partnership Project and maybe a good way to contribute to the Bridging Europe focus area of our Strategic Plan would be to have an Eastern Europe twin antenna. Personally, I really believe in the mentorship program, I think we could help another antenna grow and become stronger, but it would have to be with an antenna which is close, maybe AEGEE-Sevilla would be a good option. There has been projects like “Tienes un dia? Involúcrate!” (Got a free day? Take action!) in Las Palmas. How do you strive to contribute to the thematics of AEGEE these days? Carmen: Right now we are more focused on recruiting and motivating members. Of course, if our HR strategy works and suddenly we have more motivated members, I’d personally like to go on with this project. To contribute to the thematics of AEGEE, we usually try to organise events related to the Strategic Plan, since we’re very interested in them. For us it’s not just something compulsory, but something we’re interested in and would really like to contribute to. Are you continuing with the European Voluntary Service project in Las Palmas? Carmen: Yes, we’ll have another EVS volunteer from February to July and one of our active members will be her mentor and will help her. It is a big help for our antenna because she has a lot of skills related to Graphic design and video editing which can help improve our PR. Furthermore, every Tuesday she’ll go to a different faculty of our university to give flyers about AEGEE. We are really aware that she’ll be here to help with PR, HR, FR and IT but not to do our work. You recently organised a YVote 2014 event, why did you decide to take up that particular challenge? Carmen: When I convinced the rest of my team, the main arguments were to organize something big, something different than a SU and something that could really have an impact in our city and in AEGEE. Moreover, we were all interested in the project and think it’s important that young people vote in the European Parliament Elections. Organising it was surprisingly easy. We had a lot of support from our University, City Council, we also a Youth in Action (YiA) subvention and some sponsors like Red Bull and Canary important brands. With a great team of six people (plus our media responsible and graphic designer) we had everything done three days before the event, meaning we were not stressed or exhausted (something that usually happens to us, we get tired and stressed right before the events). We were really happy because everything went great and the participants were really interested in the topic. Moreover, the communication and relationship with the YVote team was awesome from the beginning to the end. How will you work in AEGEE-Las Palmas with the outcome of the event? Carmen: In April/May we’ll start reminding people about the European Parliament Elections, going again to the radios and trying to organize some local actions, as well as promotion through social networks for people to be aware that the elections will be soon and they really have to take part in them. You also had a very popular Summer University this year. 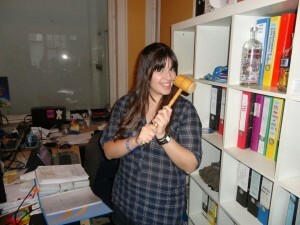 How was it organising a SU with AEGEE-Barcelona? Carmen: It was a really good experience. It was of course stressful sometimes, but really gratifying too. The organisers from Barcelona and Las Palmas were learning from each other all the time! I liked the process of working together mostly online at first; with Skype meetings, Google Drive, etc. and then to meet in person and keep on working together the whole event. In the end we’ve become really close friends thanks to organising the event together, so I strongly recommend other antennae to do so. In terms of SU 2014 we have some offers with other Spanish antennae but nothing is decided yet so we will keep our cards close a little bit longer. What local activities do you organise to keep members motivated? Carmen: Besides using sports, we also have a linguistic tandem every Thursday in a coffee shop with offers for us. After that, we usually go together for some ‘tapas’ and we get to know exchange and local students thanks to these activities. In the future we would like to have weekly meetings followed by dinners or social drinks only for members. It would be great to organize barbecues or days on the beach once per month to have some team building for the new motivated members. Do you think it would ever be possible to organize Agora/EBM Las Palmas? Luis: Oh yes, very possible. I think its just a matter of alignment of factors: human resources of the antenna, institutional will and support and so on. But yes, let me tell you that it is not such a crazy idea. One day, you might all just be surprised! Carmen: Apart from that, our University insists on the idea of organising an Agora in Las Palmas. We would love to, but we really have to think about it and have the support of all the active members. I think it’s not realistic to do it now, but maybe Spring or Fall Agora 2015, who knows? An EBM would be easier, I think, but we have to think about it and make sure that our University really supports us. What will your antenna be working on in the near future? Any special plans for 2014? Carmen: Besides the HR strategy and another TSU, we don’t dismiss the possibility of organizing a Winter University with another Spanish antenna. The Europen Level also gives exciting opportunities for events with the EuroArab project or related to the Sports Working Group. Let’s see what happens, but I really hope this antenna to keep growing and doing a lot of things! Luis: When I started in AEGEE-Las Palmas, the antenna had just been refounded, so in these years I have literally seen the antenna grow very much from the start. It still amazes me how these people manage to keep motivating themselves, and each time go for something a bit more ambitious. 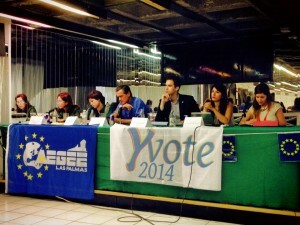 This was one of the clear examples of the Y Vote 2014 Convention in Las Palmas. AEGEE-Las Palmas has jumped from the Summer University type of antenna, to the one who looks for something more, seeks influencing and changing somehow things around. Making a positive impact. Esperanza: When I joined, AEGEE-Las Palmas was two years old and a small team. However, they were really involved not only at the local level. The members were attending all sorts of European events, joining projects, Working Groups… But in Las Palmas, still most people have no clue who we were. Then, an amazing team, with lots of new active members was formed and we really started to gain recognition! And the fact that the older members had been so active at European level from the beginning, made it very easy for the newbies to follow the same path. We all say that AEGEE-Las Palmas is our baby, and it’s been amazing to see all the progress that it has made in such a short time! It is indeed amazing all the things that AEGEE-Las Palmas dedicate themselves to and it will be interesting to see the development of the antenna and its projects.